Responsible for the Cloud strategy of the PT Group, the coordination of its implementation in different geographies, the management of strategic partnerships in this area, and the program of support to startups - Blue Start. Also responsible in the past for product development for SMEs and business development at SAPO. Previously, held several roles of financial nature at PT. In summary, 15 years of experience in Telecoms (Wireline & Wireless), Internet (Access & Content), Multimedia (Pay TV, Audiovisuals, Cinema, Radio & Newspapers) & Shared Services / BPO. Technical skills in corporate finance, DCF valuations, business plan construction, financial planning & analysis, business & product development, strategic analysis, organizational & process evaluation & project management. Developed personal skills in team management, analytical & presentation capabilities. Passionate for technology, internet, entrepreneurship and innovation. Responsible for Entrepreneurship and Business Incubation at EDP and coordinates several entrepreneurial initiatives, namely EDP Starter (incubator for cleantech & energy startups), EDP Innovation Award, and Fablab EDP. In 2008 she joined EDP Ventures, the corporate venture capital fund of EDP Group, as Investment Manager. She is experienced in cleantech investments, such as offshore energy generation, solar (PV, HCPV, CSP), wind and energy efficiency. Previously she worked in M&A (Telco, Media and IT industries) at Espirito Santo Investment Bank. Carla holds a degree in Economics from ISCTE, Lisbon University Institute and an MBA from ISCTE/Columbia University, in New York. Dynamic, marketing and business professional with a proven track record of success and eighteen years IT industry experience with Microsoft working in multiple geographies including its UK and Ireland subsidiaries, and it's Western Europe and EMEA Area Headquarters mainly working with app developers and IT Professionals inspiring and helping them to be successful on the Microsoft platform and in addition Caroline has over four years consumer marketing experience with Eurotunnel and Budget Rent a Car. With a passion for technology and startups, Caroline has a personal ambition to help encourage future generations of women and students into the IT industry and to help technical entrepreneurs and startups build successful companies. Senior Executive with robust board leadership experience at the corporate and country level, across different sectors in B2C and B2B, such as water & environment, energy & renewables, utilities, foods & agriculture, general industry and FMCG. Significant experience with public administration (national and international level) management through business networking and influential leadership. Numerous corporate awards won across several blue-chip companies that built his career (General Electric, Xylem, Unilever and Henkel). 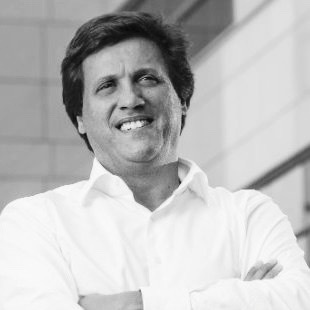 Duarte holds a management degree from Universidade Católica and an MBA from IESE + Kellogg. He is currently undertaking the AESE Business School Advanced Executive Management Program (PADE). growth capital, respectively. Before returning to Portugal he spent 5 years working in venture capital in London, with a €50M early stage fund sponsored by Virgin and a €730M development fund backed by Investor AB. He is a graduate in management from Universidade Católica Portuguesa and holds an MBA from Harvard Business School. João develops is professional activity for more than 15 years as a manager, consultant and teacher, having held senior positions at J.Walter Thompson, Duval Guillaume, Leo Burnett, Brandia Central, Education Group and Zwela Group, he worked in nine different countries, mainly in Western Europe, Eastern Europe, Central Asia and more recently in Africa. He obtained his Master degree in Law by the Universidade Autonoma de Lisboa (1997) and an MBA at Vlerick Leuven Ghent Management School (2003) in Belgium; in parallel to his professional activity he concluded a post-graduation in Marketing by IPAM in 1999 and a post-graduation in management DEG-ISCTE in 2000. Currently he is one of the founding partners of LeonardShop, a small investment fund that holds participation in several companies such as Wine with Spirit, U-First and Lincubator, among others. Joao is also guest lecturer on Entrepreneurship at Kyiv Mohyla Business School in Kiev, at EADA in Barcelona, and at LvBS and Institute of Leadership in Lviv. Works in the software development field for over 35 years. Did his first commercial software at 17 years old along with a friend. During the career worked on national and international companies highlighting the Hewlett Packard where he worked as Systems and Software Engineer. Created its IT consulting company, Querie, in 1996. Over 10 years of experience in the analysis and design of Mobile Systems. To Energia de Portugal project can bring his expertise in developing mobile solutions and management and business planning. Putting an App on the market is easy.The secret is how to make money with it. Planning and approach to market for financial success are the result of their study and experience that can be brought into teams of Energia de Portugal. 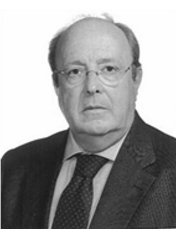 José Carlos Cabral is a veteran in Energia de Portugal being present as a mentor since the first edition. Principal at ESVentures with more than 10 years of experience in the VC industry, he follows most of the Information Technology seed and early-stage companies invested by ESVentures’ funds. He feels at ease discussing business models of technological ventures, leveraging on the knowledge provided by his MBA degree and his background in computer and systems engineering from IST (Lisbon). His previous experience with an IT startup, that grew up to a listed company, provided him with the experience of the problems faced by young companies in their growth process. Besides the scout of opportunities, José also follows the sourcing of entrepreneurial projects from major universities and research institutes that feed the pipeline of ISTART-I seed fund, leveraging his first professional experience as researcher at INESC. Ph.D. from the University of Extremadura, economist, entrepreneur, management consultant, professor at a private Portuguese university. Specialties: Business Strategic, Strategies to Compete through Technology, Business Models, Marketing, Information Systems and Starting Companies. Develops a personal a project to support entrepreneurs, in the areas of: design of business models and their validation in the market, competitive analysis and value creation process, defining strategies seeking funding. Participates in activities of "mentoring" in acceleration programs Startups. Invests in projects of Startups (Business Angels). management consulting in international firms and has been invited to teach entrepreneurship and entrepreneurship at higher education institutions. Has fun creating, developing and mentoring new projects. Lived in Asia and Africa, North America and Europe. 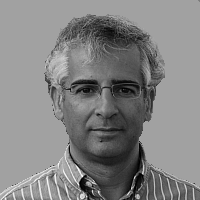 He is a member of the Advisory Board at Earth lndicators and at Fábrica deStartups. His email is vasconcelos@alum.mit.edu. Please email if you wish to know more. Thank you. Kiruba is the Co-Founder & CMO of Zaask. Zaask is an online platform to compare and hire rated service professionals for range of services from remodeling the kitchen to learning a new language. Backed by venture funding, Zaask is becoming one stop shop for all service needs. Kiruba has years of progressive professional experience in Software Development, Product Strategy and Business Development across different geographies in the Information Technology and Telecommunications sector. In his current role, he has been instrumental in defining the product strategy, managing six digit marketing investment and business controlling. Kiruba holds an Engineering degree from Anna University, India and an International MBA from the Lisbon MBA (Catolica, Nova & MIT Sloan), Portugal. Has been teaching signal processing and entrepreneurship courses to students of Electrical and Computer Engineering, Computer Science, Biomedical Engineering and Aerospace Engineering at Instituto Superior Técnico (IST) (University of Lisbon). He has also been involved in many research and technology transfer projects, sponsored by the industry, the Portuguese Science Foundation and the European Commission. His research interests include speech processing and, particularly, speech synthesis and production. In 1991 he co-authored the DIXI system, the first text-to-speech synthesizer for European Portuguese.An updated version of this system is currently being sold by Voice interaction SA, a company he co-founded in 2008. From 2004 to 2009 he was the director in charge of administrative affairs of INESC-ID, a private not for profit research institute. He is currently Member of the Executive Board of IST for Corporate Relations, Entrepreneurship and TechnologyTransfer. Luís has 17 years of experience in designing and implementing solutions to optimize and automate work processes at the most prestigious companies in Portugal, Angola and Switzerland. Graduated in computer science, with a specialization course in property management specializes in designing solutions for managing investment funds and real estate assets. He is currentlythe general manager of FundManager, responsible for providing solutions and services for the real estate investment funds, and real estate management. Lawyer working in corporate finance (M&A, including venture capital and private equity), finance and financial regulation, as well as contractual negotiation (joint-ventures, commercial agreements, etc). Experience in acting for national and international clients, assisting in complex deals and coordinating lawyers from other jurisdictions. Acting for both entrepreneurs/promoters and investors (business angels, angel syndicates and VCs/PEs). Works extensively with start-ups and early stage companies/ventures, screeningfor legal issues and pitfalls in their business plans, providing advice in both financing and investments, as well as general corporate, commercial and contractual advise (NDAs, partnerships and IVs, vesting agreements, investment terms sheets, via convertible note or equity investments). Significant experience with crowdfunding, incubators and accelerators, both setting up the relevant programs and legal documentation (via convertible notes or equity investment), as well as advising and training the participating start-ups. Founding Partner & CEO at Braganzia. Entrepreneur & Plastic Artist matured from Poetry,Architecture, Strategy, Management & Marketing. Inﬂuenced byAmerican and European cultures. Portuguese, born in Brazil, raised in Oporto, studied in Rio de Janeiro and USA, with a strong business background. lndependent thinker. Founder and CEO of Braganzia - Braganzia is a startup in the online jewelry business. Fun, ﬂexible and gorgeous Braganzia pieces make women unique in any occasion. Braganzia online store has opened! Fábrica de Startups - Team leader of the FastLaunch Program.We developed and tested the Braganzia project with Fábrica's methodology. Methodus SA Board Director-Assumed the leadership of the Marketing efforts until 2001. Revised financial and Administrative efforts, including financial reporting. Became the CFO in 2002.Still responsible for the financial area. President of Timex Portugal - Responsible for the Portuguese market. Started as Marketing Director and was promoted into Vice-President and President. Restructured the Marketing and Sales area, including repair and support services. Reshaped the line, pricing and sales strategies. PA Consulting GroupConsultant - Developed Model for Marketing Analysis. Worked in project for Timex Portugal. Professor of Information Systems in the University of Lisbon and director at the INOV research institute where he leads the "Digital Services Innovation" group. Miguel graduated (1989) and received a master degree (1993) in Electrical Engineering from the Technical University of Lisbon, a PhD (1997) in Computing Science from the University of Glasgow, and more recently a prestigious master in management entitled “Sloan Fellowship" (2005) from the London Business School. Miguel has published more than 100 research papers in international conferences and journals, as well as four teaching books in Portuguese. Currently, Miguel is interested in IT Governance, Services Innovation, and Entrepreneurship. Born in 1975. Half Portuguese, Half Spanish and Mexican by adoption (lived there for 3 years). Lives currently in Sunny Lisbon with wife and two boys. Former marketeer with 10°years career in FMCG companies like Danone (yoghurts) and Henkel (household detergents), both in Portugal and abroad (Germany, Spain, USA and Mexico). Solid experience in innovation from A to Z in the corporate world, having worked with some of the world top-innovation consultancies (IDEO, SYP, FROG, PLAY) Co-founder of lMATCH - CREATIVE COLLABORATION, a Business-Creativity and Innovation boutique company dedicated to collaborative-consultancy to inspire new and fresh ideas/solutions for complex business challenges in the areas of innovation, marketing and sales. Since 2008, he has helped to create inspiration and ideas, engagement and creativity skills for several brands and companies. Since 2008 he has participated in several entrepreneurship startups programs both as a speaker, mentor, facilitator and organizer. He is a PhD student in creativity/innovation and invited entrepreneurship teacher. And in the spare times still finds time to be the curator of IGNITE PORTUGAL, a series of inspiration events that consist in periodic gatherings to share 5 minutes talks about innovation, creativity, technology and entrepreneurship. Is a mentor at and co-organizer of GreenFest, the largest sustainability event in Portugal. He also brings on board a vast experience in business, telecoms and IT. He is the organizer of the Expresso XXI forum, founding partner ofVerde Movimento and a member of the Remuneration Committee at Brisa. Additionally, he is a member of the Advisory board of Fábrica de Startups and director/founder of the Association for Insertion by Digital Information Centers, an NGO promoting social inclusion through digital literacy. Pedro acts as a strategic consultant in the areas of coaching and transformational change and is member of the direction of European Professional Women's Network (EPWN). 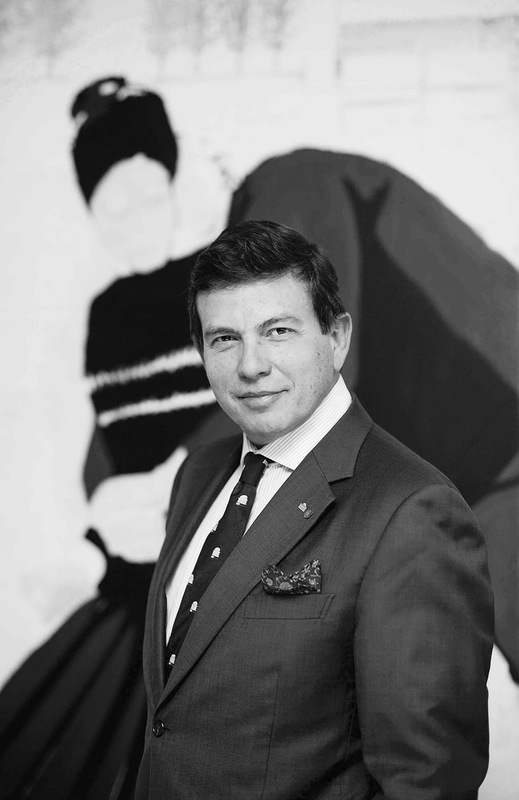 Previously, Pedro worked in the commercial function at Rank Xerox and at tech company Unisys, before becoming CEO at Unisys Portugal, Spain and Italy. He has held the position of President at ONI, a Portuguese telecoms operator, and was also non-executive director of lnapa and founding partner of MyChange, Gingko and INCIRCLE. He was also a member of the Advisory Board of the Oracle Ibérica. He holds a degree in Organization and Management from ISCTE in Portugal. Pedro is an Executive Director of ESVentures. He is the international traveller in ESV team, as he actively participates in the life of a number of portfolio companies overseas, and scouts the wealth of international investment opportunities received every day. Since he joined ESV in 2009, he has been leading much of the team's knowledge in the CleanTech space, where he enjoys getting a deep understanding of the technologies ESV looks at, putting to good use his background in physics - the field in which he started his career, doing research at the University of Oxford. In parallel, he also enjoys the Information Technology space and working with young Portuguese companies, building on the seasoned business sense and the strong management and analytical skills of a 14 year career in management and strategy consulting (with Accenture and with The Boston Consulting Group) and in line management (having performed as CIO of a large beverages company), complemented with an MBA and an MSc in Economics. Pedro worked at Banco BPI, in corporate retail banking and project finance for 3 years. Then he backpacked for 9 months in South America. Back in Portugal he was project manager for the Chapito-Rio project (a multifunction social and cultural project). In 2007 he co-founded the Social Innovation Program, at TESE (a Portuguese NGO). A social innovation hub with four different areas of activity: 1) strategy consultancy, 2) launchpad for social innovation projects, 3) local innovation projects, and 4) R&D related to social innovation. In September 2009 e became a Free Agent Project Manager & Consultant in (social) innovation and entrepreneurship, later joined Quotidian as an external consultant and them Stone Soup Consulting. In December 2009 he also co-founded the Beta-i, an association for the promotion of innovation and entrepreneurship. Since February 2010 he's the Coordinator at the new Design Response Unit at Experimenta (using design to address social issues). Pedro lived in Belgium, Azores, Macau, Vienna and Lisbon. He studied Management at UCP, did the ISEP at INSEAD and the "Foresight, Strategy and Innovation" post-graduation at ISEG. Founded Imaginary Cloud in 2010 and has been leading the company ever since. From the very beginning we have 3 been guided by the same principles that we still live by today: developing creative and sustainable solutions, maintaining excellent communication, always being transparent, placing a high priority on innovation and always improving our methods It is for these reasons Imaginary Cloud continues to grow as a company, winning the confidence of successful, progressive clients. We're proud that we continue to employ and invest in the most talented developers and designers in Portugal. I’m always happy to talk to driven and aspirational Ruby, iOS and Android developers about their career plans.